Arsenal have been handed a boost as captain Laurent Koscielny returned to training on Thursday for the first time since having surgery on an Achilles injury. 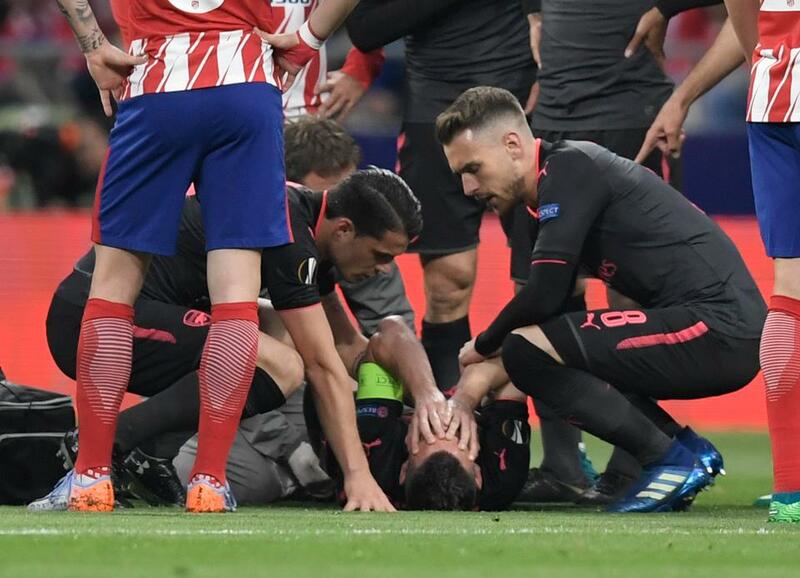 The France defender missed the World Cup after rupturing his Achilles in the Gunners’ Europa League semi-final defeat to Atletico Madrid in May. Initial reports suggested the 32-year-old may not play again in 2018. But manager Unai Emery has revealed Koscielny has stepped up his recovery and is ‘making good progress’ as he works his way back to full fitness. Asked for an update on Koscielny’s injury, the Arsenal boss said: “He’s working very hard. “First he was in France. He came back to us last Sunday. “We are happy to have him here with us, because he’s our captain and he’s showing us his spirit to stay with us. Asked when he could play, with suggestions he could now return to action before the end of the year, Emery added: “It’s difficult to know. “You look at this morning, he’s running, he’s working on the pitch.